What if you love a design, but would like to add your personal touch? Anything is possible at Something Fabulous! Why not view our gallery of customised work and see what you think. Want to discuss your event stationery? 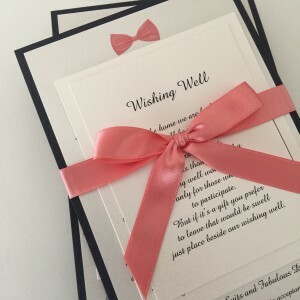 All you need to do is email us or give us a call on 0414 902 349 to speak with one of our stationery designers.